As warm weather returns, it’s time make sure you are ready for all that the sun and heat bring… yeah I don’t mean pretty flower, I mean sweat. Are you stocked in deodorant that is right for you? 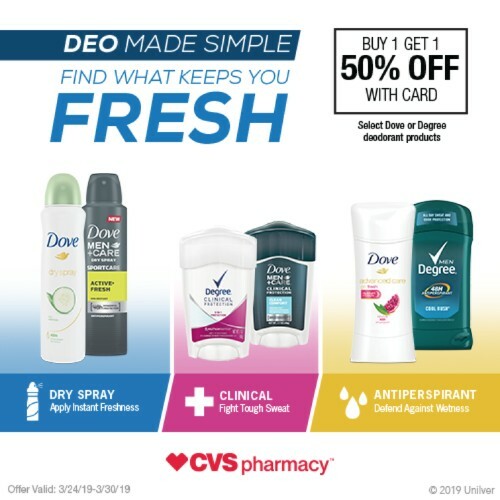 Once you find out what deodorant is your deodorant soul mate, head to CVS this week to get them on sale (plus use coupons). 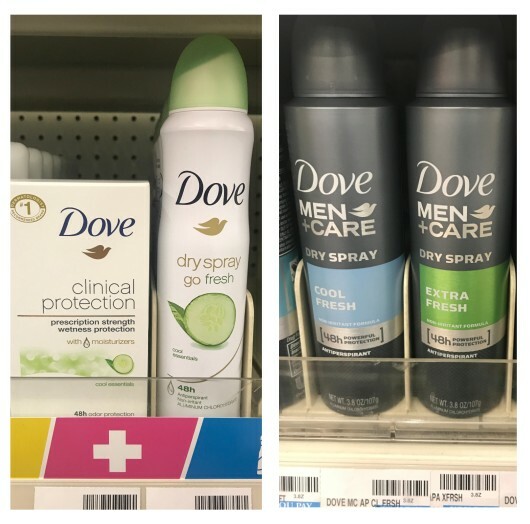 Select Dove and Degree Deodorants are on sale Buy One Get One 50% off. I’m a Dove or Degree Clinical girl, especially with my new hobby of running. I don’t need to smell out the house after a workout, plus the struggle of getting sweat smell out of laundry isn’t easy… these deodorants really help with both! A dry spray antiperspirant infused with cucumber and green tea. It keeps you feeling and smelling fresh for up to 48 hours. Goes on instantly dry and is clinically proven to protect against skin irritation. With 48-hours of sweat and odor protection, you’ll smell and feel fresh for whatever your day throws at you. Degree Clinical Protection is three times more effective than basic antiperspirant deodorant. It’s 48-hour prescription-strength sweat and odor protection that is still gentle on your skin. This deodorant is clinically proven to provide long-lasting protection against odor and wetness while giving you a subtle crisp, clean scent that will keep you feeling fresh all day long. With Dove NutriumMoisture and up to 48-hours of antiperspirant protection, your underarms will stay dry and hydrated. 48-hour sweat and odor protection, active defense, a fresh scent and MotionSense technology.